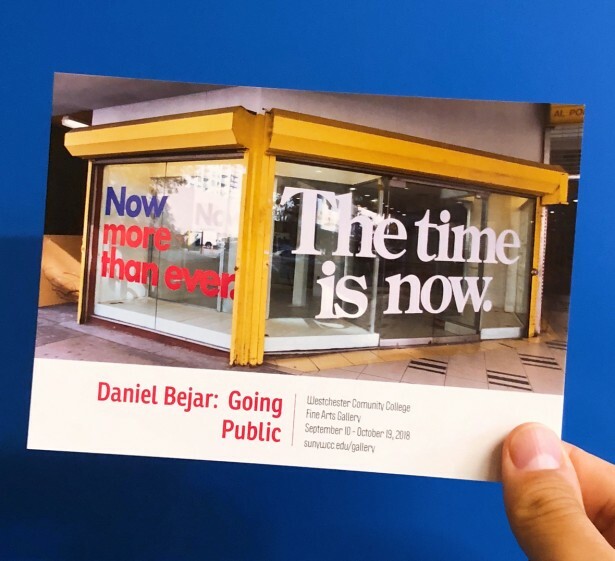 Description: Daniel Bejar is having a solo exhibition, "Going Public", on Monday September 10th, 2018 at Westchester Community College's Fine Arts Gallery. "Going Public" brings together three recent and ongoing projects Rec-elections (2012-Ongoing), Get Lost (2009-2012), and RE-districting (2017), at this particular moment in 2018, approaching what are anticipated to be highly contested mid-term elections. These multi-dimensional projects address the dangerous myth-making that comprises presidential elections, erasure resulting from colonialism, and inequities arising from gerrymandering, respectively. In connection with the exhibition there will be a panel discussion Why Vote? with WCC faculty on September 25th in the gallery, and Bejar will be giving an artist talk in the gallery on October 17th 11am. Both are open to the public.